With India home to largest number of malnourished children, the Supreme Court on Tuesday issued notice to the Centre, States and Union Territories on a PIL seeking revision of budget for midday meals and enhancement in its calorific content, a court-supervised quality assurance system and an audit of all schemes and facilities implementing child nutrition and education programmes, by a court-appointed third party commission, besides other reliefs to remove various inadequacies plaguing the mid-day meal scheme across country. 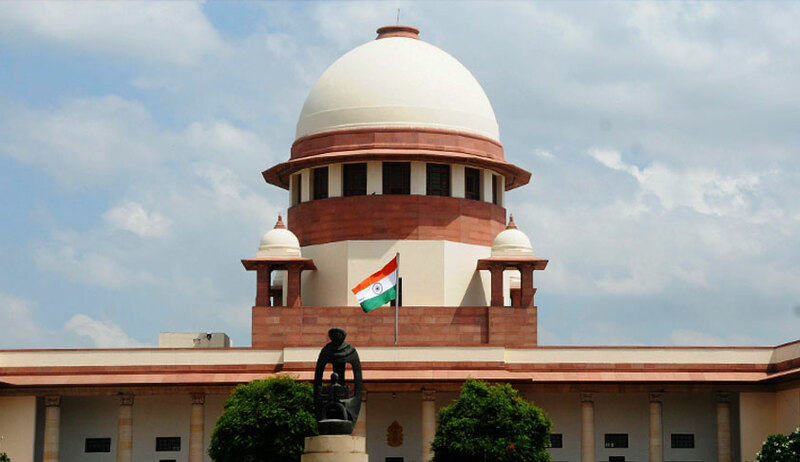 A bench headed by Chief Justice Dipak Misra issued the notice on the PIL filed by ES Ramamurthy, a former engineer, who has been working closely with the underprivileged children in the field of education. The petitioner has moved the apex court through advocate Satya Mitra. In his PIL drawn by advocate Olivia Bang, the petitioner has sought various reliefs for enhancing the scope and funding of the Mid-Day Meal Scheme (MDMS). “The need for such intervention arises from the glaring inadequacies and violations of the existing MDMS parameters across the country, as well as a pressing need to revise the said parameters to account for required funding, mechanism to impose liability on the State and, upgrading the nutritional need limits in accordance with research-approved standards,” he said. The petitioner said the MDMS suffers from inadequacy, mismanagement and lag vis-à-vis budgetary allocations; grossly inadequate calorific content of meals (in practice as well as in the legally mandated stipulation); infrastructural shortfalls such as absence of kitchen sheds, dining halls etc. ; jurisdictional overlap among ministries as the Central and State-level leading to no accountability or effective redressal mechanism; poorly calculated cooking-cost and miscommunication as to Centre-state cost sharing; lack of scientific methods in setting nutritional standards etc. The petitioner filed the PIL following a personal experience in April 2016 when he visited a drought-affected rural district of Bangalore. The PIL prays for revision of calorific content of mid-day meals. “In most rural areas, children help out with household chores and livelihood work (such as work in the fields) - both these activities, coupled with usual levels of activity of the children results in moderate to vigorous levels of physical activity. In this scenario, the calorie limit of the meals must be contextualized to account for the actual levels of energy typically expended by children,” it said. According to research published by the Indian Council for Medical Research (ICMR), boys in the age group 6/14 need 1,510–2,880 Kcals per day which rises to 1,760– 3,010 Kcals under a vigorous activity regime, while girls need 1,400–2,260 Kcals in the normal course, increasing to 1,610–2,570 Kcals when vigorously active. “Since each school will have a different mix of age groups for boys and girls, who in turn could be moderately or vigorously active physically, a median daily need of 2,300 Kcals and 2,000 Kcals can be presumed for a boy and a girl. With a typical mix of an equal number of boys and girls, the daily need for purposes of planning a meal in the school would work out to 2,150 Kcals. Against this, the MDMS provides 600 Kcals–averaged between 450 and 750 Kcals, respectively. This indicates that there is a gap varying from 460 to 1,100 Kcals depending on the age of the child. It is thus apparent that the calorie limit set for the MDMS lacks any scientific or empirical basis and, must be revised to ensure it is actually, not merely ostensibly, effective in tackling the problem of malnutrition,” said the PIL. The budget allocation for ICDS and MDMS be revised, factoring in the inflation and actual cost of ingredients and transportation, such that resource inadequacy does not impede effective implementation. MHRD release a lumpsum budget for the MDMS instead of fixing a single standardized cost valuation for the whole country: inform each State of its share in a timely manner, enabling the states to supplement it with its own budget according to its own plans (since the states can draw up a more effective plan accounting for the local contexts). The calorific content of meals be enhanced: the nutritional norms of the MDMS be pegged against scientifically and empirically verified standards such as studies published by credible organizations like the Indian Council of Medical Research (ICMR) or any accredited Institution with the required expertise and mandate. Timely disbursement of monetary entitlements of cooks and headmistresses of schools who incur personal expenses and/or purchase food grains and ingredients on credit to run the MDMS. Construction of durable kitchen sheds, classrooms and dining halls to ensure hygiene. Quality of meals delivered be uniform and nutritionally adequate etc. The Respondents be directed to establish functional Quality Assurance, Monitoring and Accountability mechanisms (under the supervision of the Hon’ble Court and/or under the state government’s mandate) to assess and redress implementation bottlenecks; the mechanisms be such that it attributes failures and responsibility to specific government entities who have the jurisdiction to fix it. An audit and quality control review be conducted of all Schemes and facilities implementing child nutrition and education programmes, by a third-party commission, including civil society members appointed by the Court; release the findings of such audit and corresponding state action in the public sphere.